Ascending Butterfly: What would you do with the savings if someone paid your grocery bill this week? You have the chance to get your bill paid with Maseca! What would you do with the savings if someone paid your grocery bill this week? You have the chance to get your bill paid with Maseca! If someone paid my grocery bill, I could think of tons to do with the money saved, what about you? It seems like even with careful coupon cutting and sitting at a table with all the local circulars trying to find the best deals, it's not always easy to find ways to cut the grocery bill down to a manageable size. With an economy still very much in a recession, finding ways to save has pretty much become a necessity! And this summer while 'staycations' have replaced vacations, families are pretty much pinching a penny until it screams 'ouch'. I for one would definitely put some money toward a 'real' vacation if my someone covered my grocery bill this week! What would you do? Once the winner has been selected, the Maseca team will begin the festivities and gather all those that are present. After the crowd gathers, the Maseca team will pay for ALL of the products that the winner has in their cart. The Maseca team will take photos and videos with the winner, which will be made public on the mimaseca.com website and social media sites. The contest runs from June 27th--August 8th, 2011. I know I'd be ready to celebrate if someone wanted to pick up my grocery bill this week! I have a lot of re-stocking to do during my next shopping trip! FTC Disclosure Info: I am participating in a paid campaign for Latina Bloggers Connect and Mi Maseca. While this is a Sponsored Post, I am a blog with integrity blogger, and the opinions expressed and text are solely my own and have not been edited or influenced in any way. 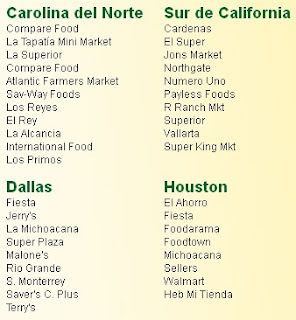 That's so exciting, especially if you live near these stores! I'm a new follower through GFC. Thanks for following me! I would love someone to pay my grocery bill! but i don't think we have any of the stores listed nearby.... boo! stopping by from the Alexa hop. I am also following you on GFC! Someone actually did that for me one time. I was in line, had just got done checking through and the nightmare of the card malfunctioning happened. I was so embarassed... the card was fine, I used it at the next store that day. But a sweet couple behind us said we've got it and paid for all our groceries and came up to me and said God Bless with a smile on their face. I was in utter shock! Thanks for the follow! Following back. Hi, Just paying a visit from the Alexa Blog Hop! 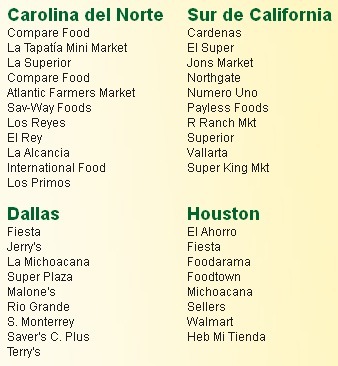 @Y I hope the promotion goes really well so it can be expanded into additional cities! How exciting would that be if someone paid your entire grocery bill? Can't wait to read more of your posts, you are definitely not 'alone in beauty'! @Brag ALl About It Thanks for visiting from the Alexa Hop, I am following you as well! 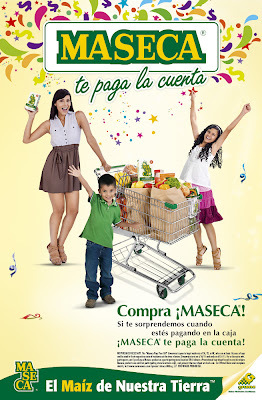 I am hoping the promotion goes really well and Maseca expands it to additional stores and cities! I would love to have them pop out and surprise me while I'm shopping! @Cricket - That is so sweet and inspiring! I have no doubt in my mind that their good Karma will come back to them! What a blessing! Both for you and for them! Thanks for sharing that! It's so easy to see the negative on tv, in the news, and when someone actually does something nice, it's so refreshing to hear! Thanks Tracy for this post. We are really happy for all the winners of this promotion. Have you seen their faces? They look really happy! We hope many more people can profit of this promotion.